Why Develop a Bug Out Plan? Should I Have a Bug Out Vehicle? 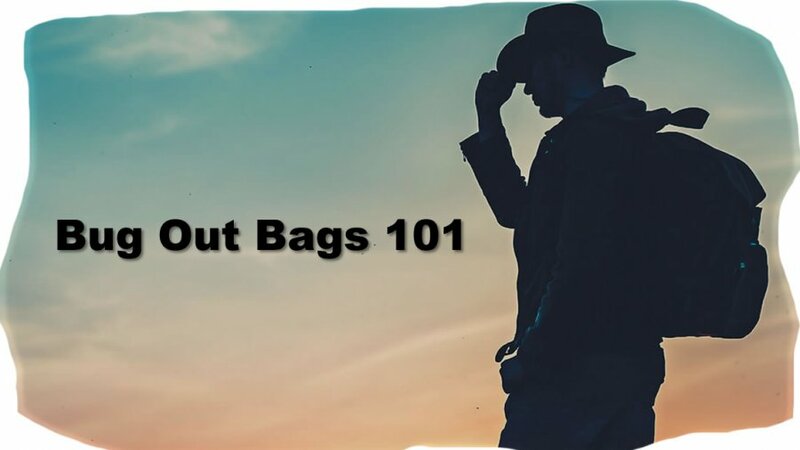 How Long do Bugout Bags Need to Last? A disaster situation, especially one where survival may be at stake, exerts a lot of unusual pressure – on you. If you can grab your bug out bag, throw it in the car and drive to safety in a few hours – great. If not…. As we’ve mentioned several times in other bug out profile articles, there’s a big difference between disasters and emergency situations that temporarily cause people to leave and those that may take weeks or months before a return is possible, if at all. Namely, survival skills. Put another way, if you live in Fort Lauderdale, Florida and because of a hurricane you have to escape to North Florida (say Tallahassee), you grab your BOB, jump in the family vehicle and head north. The only skills you need are the ability to negotiate traffic and have earned enough money to pay the bills in North Florida. However, what if you live in Fort Lauderdale and there is a major political uprising in South Florida and because of the situation all over the U.S. you have to retreat to the nearby Everglades to survive. As every Floridian knows (and a lot of other people), living in the Everglades on a long-term basis would be…difficult. Getting out of Fort Lauderdale and to a safe place in the ‘Glades may be a survival challenge in itself, but living there with the mud, snakes, alligators and insects is an even greater challenge that requires survival skills. The skills and abilities for living away from civilization are many and varied. It’s obvious that being fit and healthy really helps, but you need to know your limits, no matter what your condition. The necessary survival skills depends a lot on where you go when you bug out. Assume a situation more drastic than relocating temporarily to another city, that is, bugging out to a survival situation either more or less in wild nature or in some kind of altered human environment (like after a major earthquake or a bombing attack). Orienteering Survival Skills – a fancy word for knowing how to move around without getting lost. Some folks are good at doing this intuitively, but most people need to learn how to read maps, use a compass, and understand ‘the lay of the land.’ In other words, orienteering is a survival skill. It’s obviously useful in wilderness survival, but it’s almost as easy to get lost in an urban environment – especially if a disaster of some kind has altered it substantially. food (among other th ings). For most people, it takes time, even years, to build up the skill to be a successful hunter – and having to do it in a survival situation may complicate the difficulty. By the way, hunting doesn’t mean exclusively shooting something with a gun – bow and arrow, slingshot and spear can also be very effective – and quiet. These are separate skills in their own right. Also, shooting game is only the beginning, you need the skills for dressing and preparing to eat (or preserve) the game. people who bug out have probably fished, but the question for survival is how to do it with repeated success as a food source. Chances are you won’t have specialized gear; you might not even have a fishing rod. Survival fishing skills can be a delicate balance of improvising and knowing how to catch specific fish in a particular location. Trapping Survival Skills – everybody knows about hunting and fishing, but trapping, an ancient skill, has gone out of favor. Trapping takes all the observation skills of hunting and then requires the specific skills of how to construct a trap (or set a commercial trap) and place it so that it actually catches something. While almost anyone can ‘get lucky’ with hunting or fishing, trapping has a learning curve; it’s a skill that has to be deliberately acquired. Food gathering – outside of hunting, fishing and trapping the world provides food of many kinds, mainly plants and some mushrooms. The trick is knowing what to find, where to find it, how to gather it, how to prepare it and how to eat it – safely. Food gathering requires a lot of knowledge and survival skills, especially for observation and preparation, nevertheless, in many survival situations food gathering will be the most reliable and consistent way to provide food. Improvise construction and repair – these might be called MacGyver survival skills, the ability to use materials at hand to construct things, especially shelter, and to repair things you bring along in the BOB. Knowing your materials is one thing, ingenuity is another. Both are enhanced by lots of experience. Defense and safety – don’t mistake these as simply a matter of carrying weapons. The skills involved with defense and safety are more complicated than that, for example, detection is a primary skill long before a weapon is drawn. Of course, the skill of knowing how to use a weapon for defense (or offense for that matter) is still very necessary. Camping/outdoor survival skills for heating, cooking, sheltering, hygiene – anyone who has done extended camping will be familiar with these skills. If they’re not familiar, then as a survival measure it would be a good idea to practice ahead of an emergency. The survival skills are similar to the everyday routines, but doing them in a different environment (whether in nature or in some post-disaster human environment) adds unique complications. Keeping in mind that the only blanket answer to that question with a high probability of being accurate, is “maybe,” (disasters have a way of dictating their own requirements), you still should become aware of skills and abilities that could be improved. For an obvious example, we’ve spent a lot of time in these articles relating the Bugout Profile to the bug out bag. Most BOBs are backpacks, and by definition these are hung on your back and you schlepp them around with the power of your legs. The heavier the pack, the harder it is to carry over a distance or a long time. So, if you’re not in great shape, then having a BOB that weighs 60 lbs. (for example) is not realistic except for very short distances/times. This could be a crucial assessment of your ability in many survival situations, and fudging the assessment is not a healthy option. “Guesswork for survival skills and abilities is a fool’s game.” We don’t know who said this first, but ultimately it’s accurate. The only way is to test the skills and abilities in as realistic a situation as possible. Even that is approximate, but actual experience will get you much closer to the truth. How much time are you willing to put in preparing for survival skills? Acquiring skills and keeping up your abilities, especially physical strength and stamina, take a lot of time. Even professionals find this a difficult question. However, if you consider yourself a survivalist, or are serious about a bug out bag, then developing your bug out profile, learning or improving skills, and accurately assessing your abilities has got to be part of the package – otherwise, lack of honesty, lack of skills, and lack of knowledge can get you killed. How much time is that worth?